When you get behind the wheel of the 2020 Kia Telluride, a new three-row SUV, expect space and versatility to spare. With powerful engine options and capable drivetrain tech, the all-new 2020 Kia Telluride, for sale at our Kia dealer near Plymouth, MA, is ready to take on any New England weather. 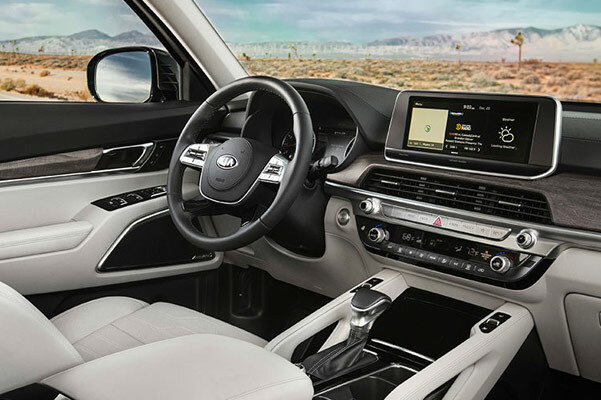 Slide into the 2020 Kia Telluride interior and you're guaranteed to be surrounded by comfort features you're bound to love. And when you research the 2020 Kia Telluride cost, the choice to buy the new Kia Telluride should be a simple one to make. 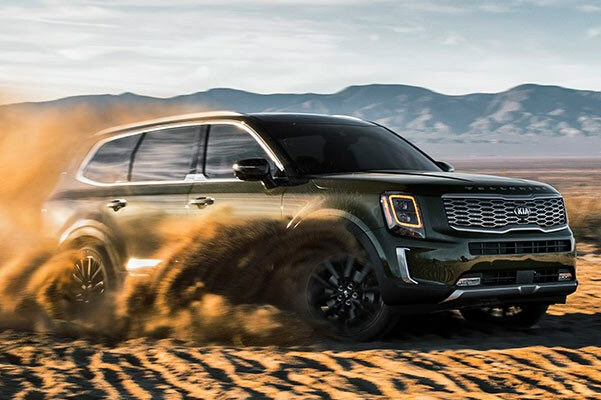 Discuss your Kia finance options and ask about our competitive 2020 Kia Telluride lease specials to save even more on this affordable and highly capable new SUV! Curious what the 2020 Kia Telluride towing capacity is? The Kia experts at our Raynham Kia dealer have access to the complete list of 2020 Kia Telluride specs, so speak with one now. Don't forget to ask about our 2020 Telluride lease and finance specials designed to match your budget.